I started blogging in 2013 mainly with the goal to document and show off my Hannibal in Spain project. Little did I know I would still be at it in 2017, make the blogging an enjoyable part of my hobby and start taking on commissions. Oh and yes, the Hannibal project is still going and got somewhat transformed into a larger scale, too. Carthaginian army on the march. Rise! Rise and crush the intruders! Banat-Grenzinfanterieregiment No. 1. engaging a Jägers detachment on a foraging mission. 2014 was the year of Dungeon Crawls and Reaper Miniatures. I really focused on painting up some of the Bones miniatures I got via the first Kickstarter. 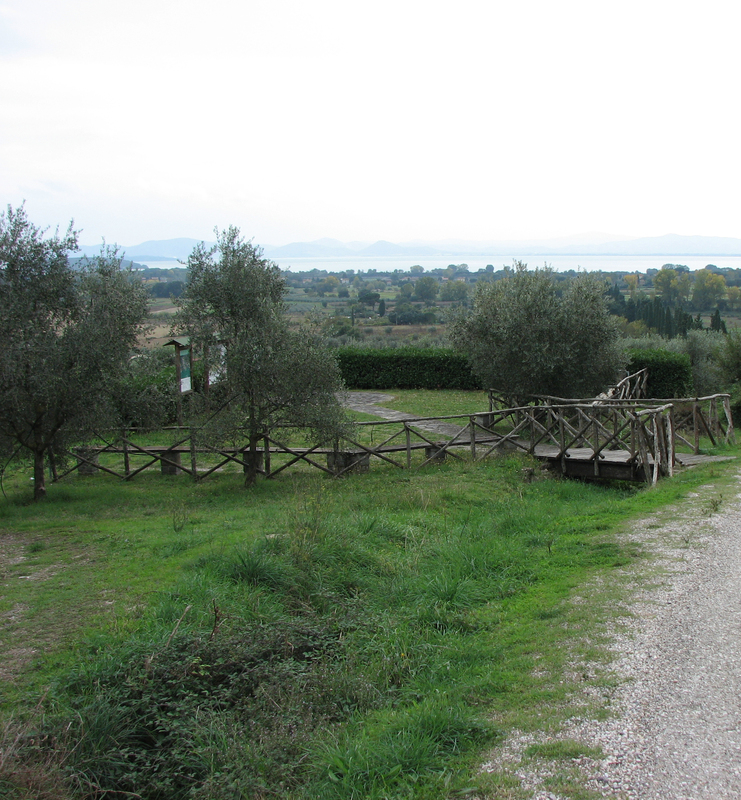 I also wrote a travel guide to the battle field of Lake Trasimene. Good times thinking back to that holiday in Italy! Little did Anirion know that he would become a famous fashion model for DaggerAndBrush. Oh the glory! Bailey couldn’t take the pressure. Too much, too soon. Still, she did contact me again for a photo shoot, so maybe she will be back and keep Anirion company. The battle field features some interpretative panels that explain different theories about where it took place and also show some very nice artwork. You may recall the good old Confrontation game. Rackham had a good thing going, but changed their business strategy to a model that did not fare too well with their established customer base. 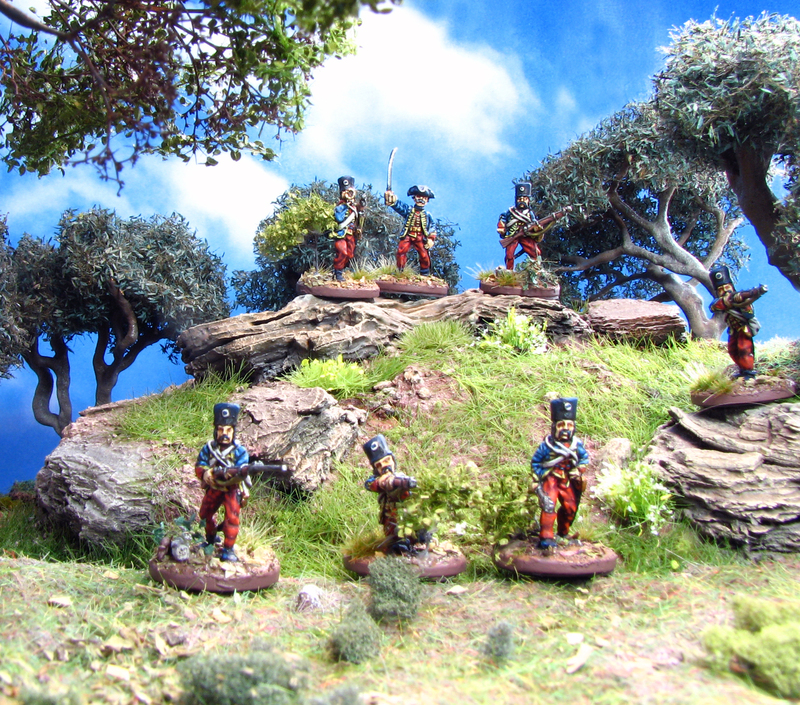 They had limited success with their mass battle game, but it was prepainted plastics, so I stopped playing. That said, I still have some Goblins somewhere that I got cheap after the game unfortunately lost its player base and will use them one day for a SoBaH warband. I do enjoy Goblins, but my first love were the Lions of Alahan. Mainly because I collect wizard miniatures and Meliador really was an outstanding one. My first finished miniature back in the day was, however, one of the city guards. An early attempt at NMM. This is not my first miniature ever, obviously, but I did not start taking pictures before Confrontation. I still like the transition on the shield. Could use a glaze or two to draw everything together, but overall it looks ok. The gold NMM worked reasonably well, but the steel really needs more contrast. I think I still have the guy somewhere. Maybe he gets a new paintjob or touch up in the distant future. Fun fact: I made that picture with a scanner. Digital cameras were not really a thing back then and it seemed to be the best option…until the day I dropped the lid on another miniature. So I upgraded to a digital camera as soon as I could afford one. I hope you enjoyed this short journey down memory lane! Past or present, no matter, always remember to wield your brush with honour! Great trip back through the blog’s past. I first came to your blog to marvel at your scratchbuilt dungeon pieces and have been amazed with everything you’ve been working on since. The transition on that shield really is quite nice! Thank you Brian! Much obliged. I feel I should do something with that Crypt module. I thought of extending it to 30cm and fashioning a two level skirmish board for DnD etc. where you can go down into the crypt. A nice post mate. I really like your terrain. Thank you! I think I’ll venture more into gaming boards this year. The frames are ready, I just need to decide between Fantasy, Desert, Snow or Mediterranean. It can be really interesting to go back and look through the old posts. I think you’ve hit on a great idea of bringing some of them back to the fore – both for newer readers as well as your own reflection. I remember some of your posts above but do not recall having seen that Confrontation model before. The Confro guy was never published in a blog post, but the photo still lurked on my hard disk. Those miniatures still hol dup. Such a shame Rackham went belly up. I think you can still get the minis from this website based in Russia. I don’t think they have a license, though. I try to only buy the original stuff second hand, as I won’t support recasters. The CMON venture was a bit of dead end. Way too expensive. It felt like they wanted to squeeze the collectors until they are mere husks. I think they should just release them again in metal or resin. Similar prices to other boutique miniatures and I would complete my Goblins and also get some of the long OOP minis that I was not able to get second hand (Golborak for instance). I also would love to see a new version of the rules. They were not that good in the first place, so a revamp would help. The layout, however, was gorgeous. Love these. Wonderful pics of brilliant work, exceptional! Thank you Mark. Much obliged. I found the city guard, so hopefully I get around taking some better pics of him.